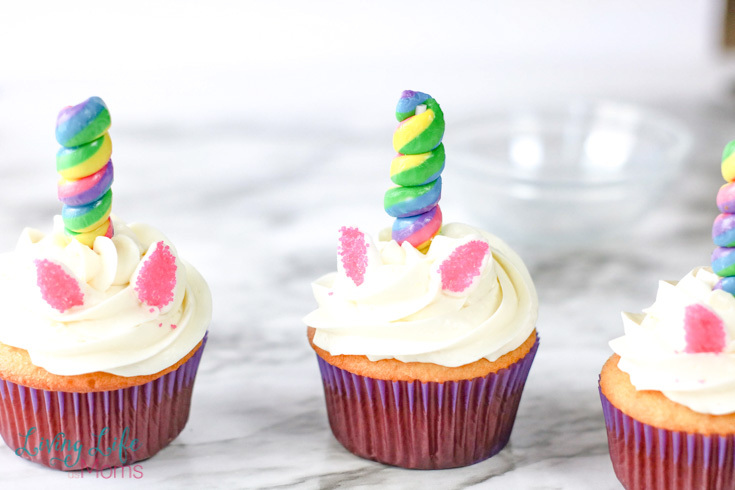 These simple unicorn cupcakes are not only adorable, but they are delicious as well! 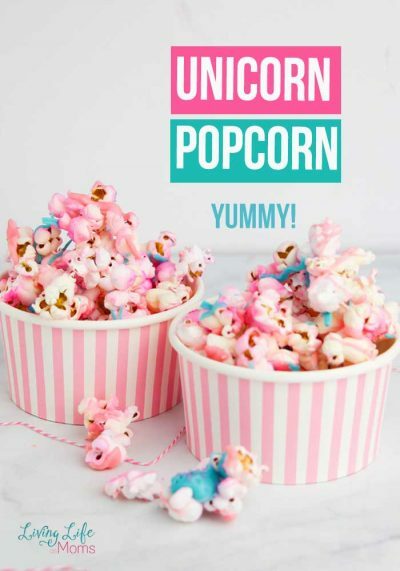 Feel like being a bit festive or have a unicorn-themed birthday party coming up? 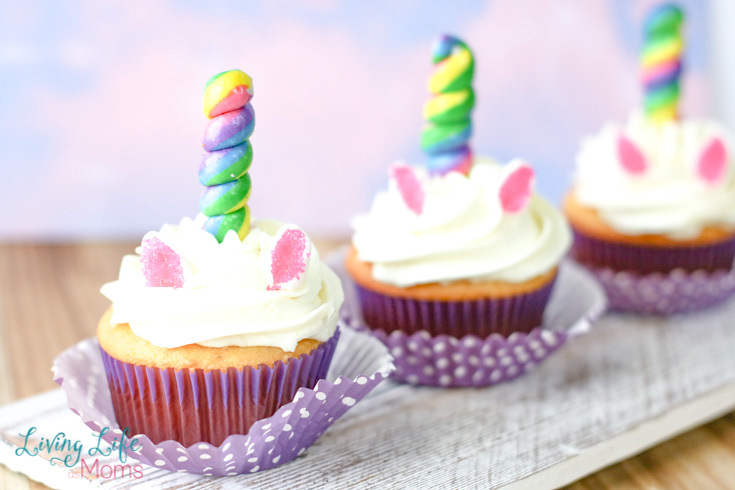 These beautiful unicorn cupcakes are perfect! After all, cupcakes are always a safe bet! There’s just something so delicious about cupcakes that you just never grow out of craving. Plus, cupcakes tend to be less mess as well! 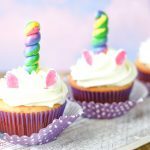 Here’s the deal…this unicorn cupcake recipe is actually more of a decorating recipe because you get to use premade cupcakes! 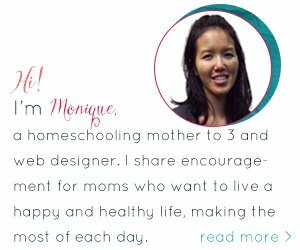 Just look at how few ingredients you truly need! 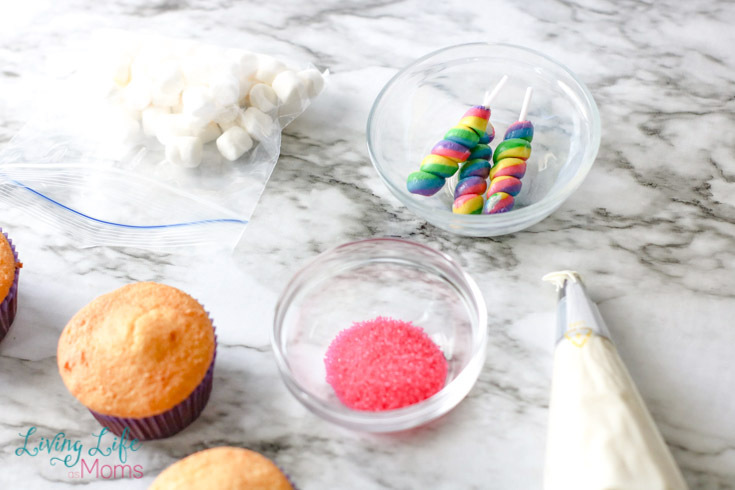 These unicorn cupcakes are also fun to make together as a family. Gather around the table and let one decorate with frosting, while another gets to add on the glitter and unicorn ears. 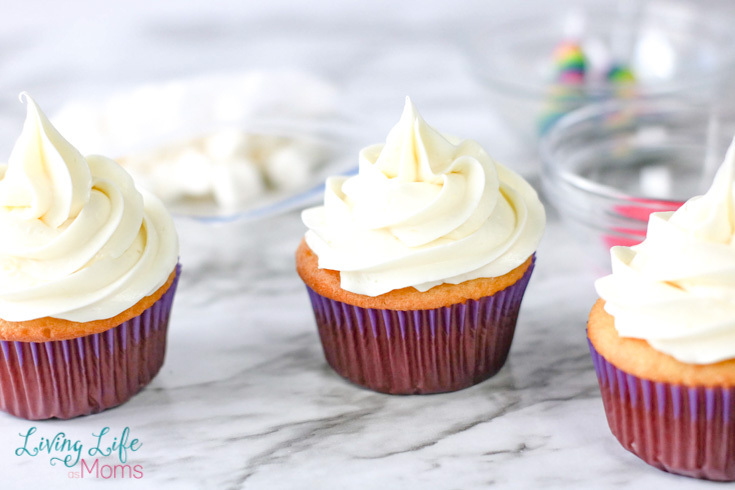 Hard to believe that after these simple steps, you’re almost done with the cupcakes! Adding the unicorn ears is a breeze. Just make certain that you get them covered with that pink sugar and you tap away any of the extras. That way that pink sugar doesn’t fall off and get all over everything! It’s time to add on the unicorn horn! 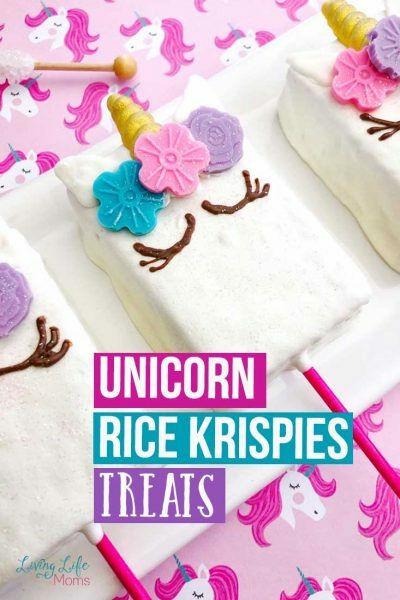 And by saying a unicorn horn, you’re going to be adding one of the coolest lollipops, ever. Seriously, look at those rainbow colors! It’s like this sucker was invented to be a unicorn horn. Perfection. Take your cupcakes and frosting and begin piping in a circular motion where you're starting from the outside and working towards the center. 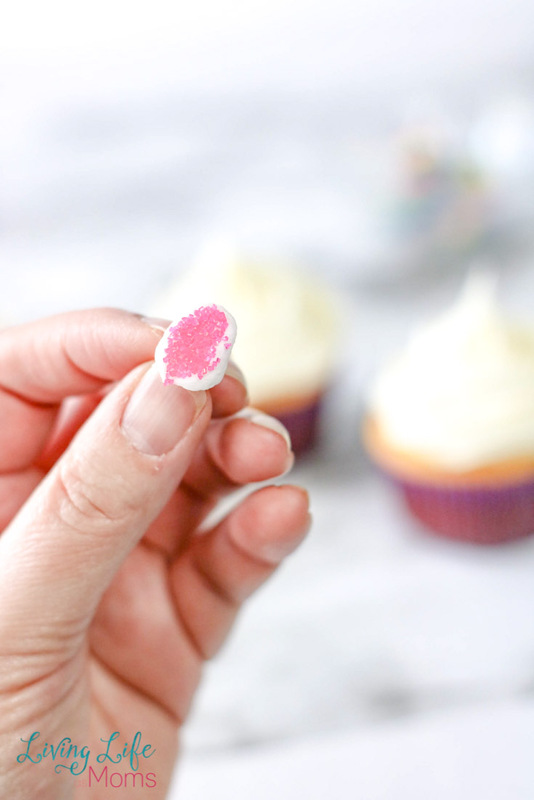 Next, carefully cut your miniature marshmallows diagonally in half and dip the cut side into your pink sugar. 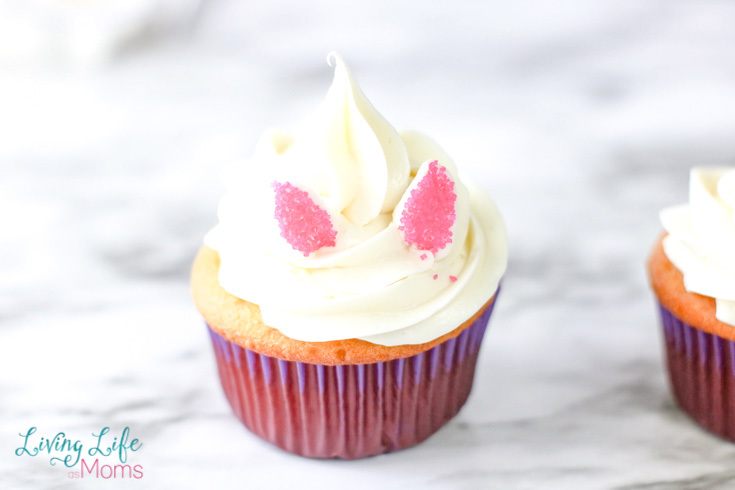 Once you have that side coated with sugar, place on the cupcake as the ear. Repeat with the other marshmallow. 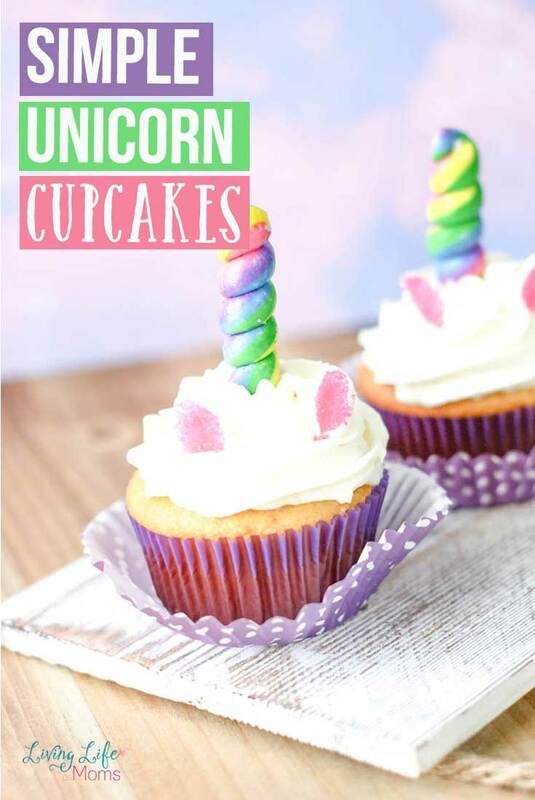 Store these unicorn cupcakes in an airtight container to make them last for a couple of days! 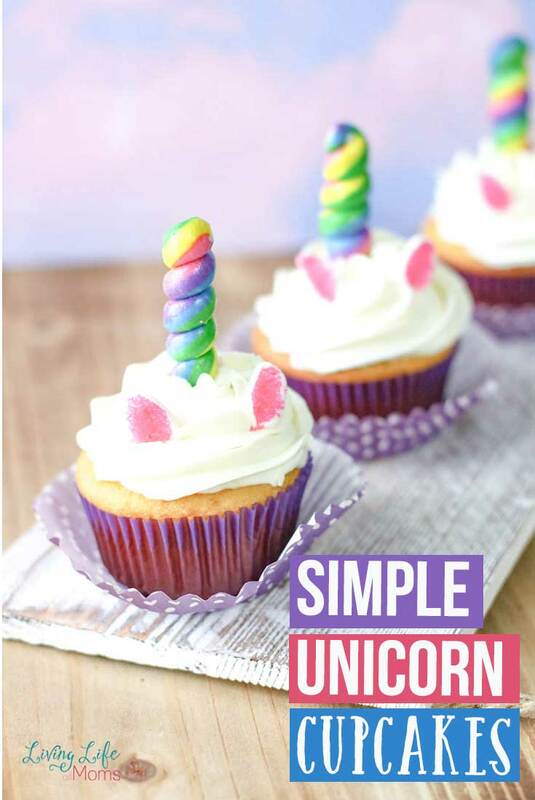 You’ll love these simple unicorn cupcakes! 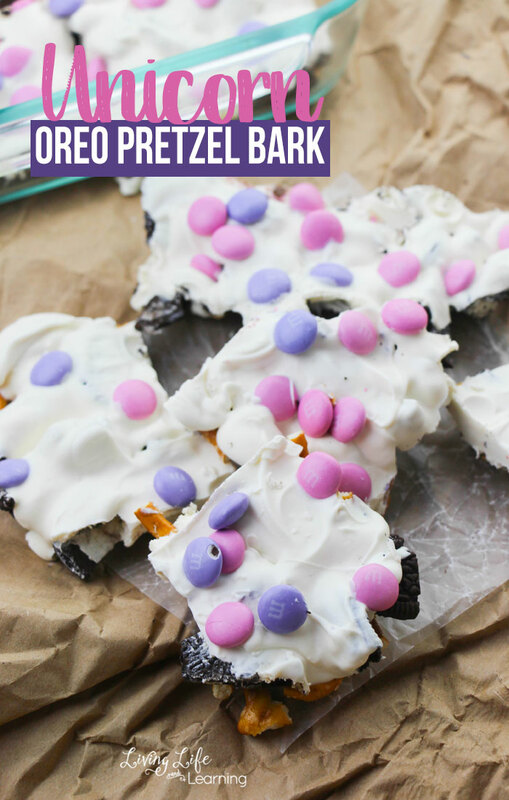 Making a double batch so you don’t run out is always a good idea!